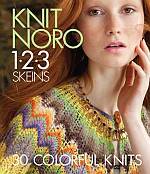 30 garments and accessories in a variety of Noro yarns. Includes a few sweaters, shawls, shawlettes, shrug, capelets, cape, scarves, cowls, collar, hats, head kerchief, mitts, pillow sham, bag, flower brooch, and bunny toy. 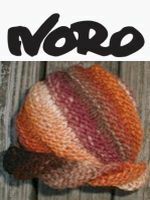 Each item is made from 1 - 3 skeins of Noro yarn. Free with any purchase of Mirai, while supplies last. 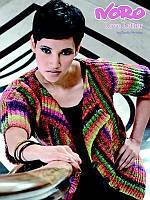 Free with Yarn Pacfinished size 40" - 55.5"